The head has a stem into which the handle is attached. This makes it more durable. The head of this tendon hammer is a full 1/4-1/2 ounce heavier than other Queen's Square hammers. Heavier head gives more power. Our SUPER soft bumper will get the reflex painlessly! The new bumpers are made from a material that will NEVER get hard. It will never stretch out of shape. It has been years in development but it was worth the wait! White professional handle with point and point cover. This reflex hammer has a high-impact poly-handle at a reasonable 12" length. The BEST EXTRA SOFT BUMPER EVER! 6$ each. Pure silicone: never ages, guaranteed not to get hard or sticky, ever. Soft rubber bumper 4$ each. These have been in stock for years and are still soft. We got rid of the ones that turned rock hard or gooey. These are the survivors. Surviving as long as they have without degrading, is evidence they will continue for some time to come. 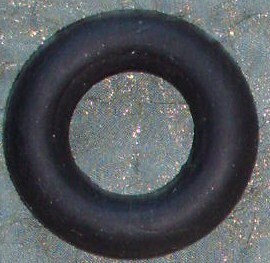 Medium rubber bumper 2$ each. We sorted them all, and these are the ones that are not super-soft but still pretty good. Most were not super-soft to begin with, so they will probably hold up as well. click here to check out our 16-inch ultra heavyweight queensquare! click here to check out our 16-inch queensquare set! click here to check out our 9-inch pediatric queensquare!